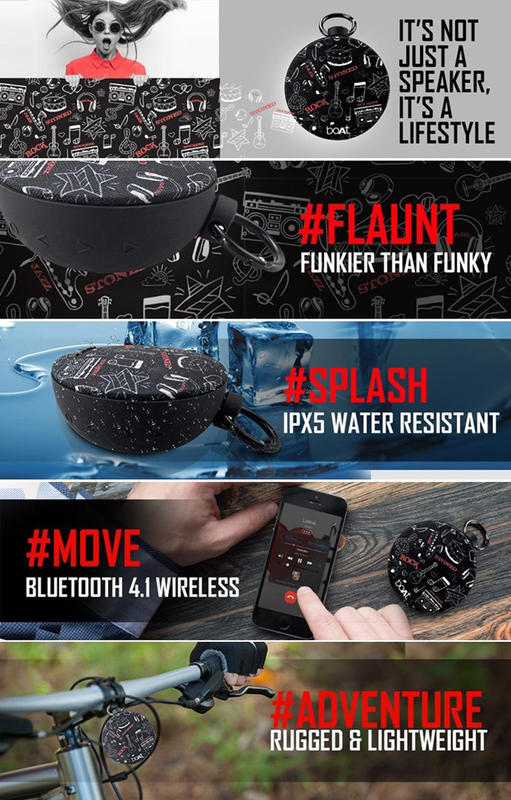 BoAt Stone 260 is IPX5 waterproof and shockproof to suit your active, outdoor lifestyle - grab one and take it with you when swimming, camping, hiking, cycling, drifting and more. The body is constructed of durable silicon, rubber matte finish that makes it shock proof, which offers all around outdoor protection against dust and waterIt produces a very decent amount of bass, crystal sound and can go extremely loud that makes this a little beast, which is nice because you have the option to really crank this speaker up if ever needed. 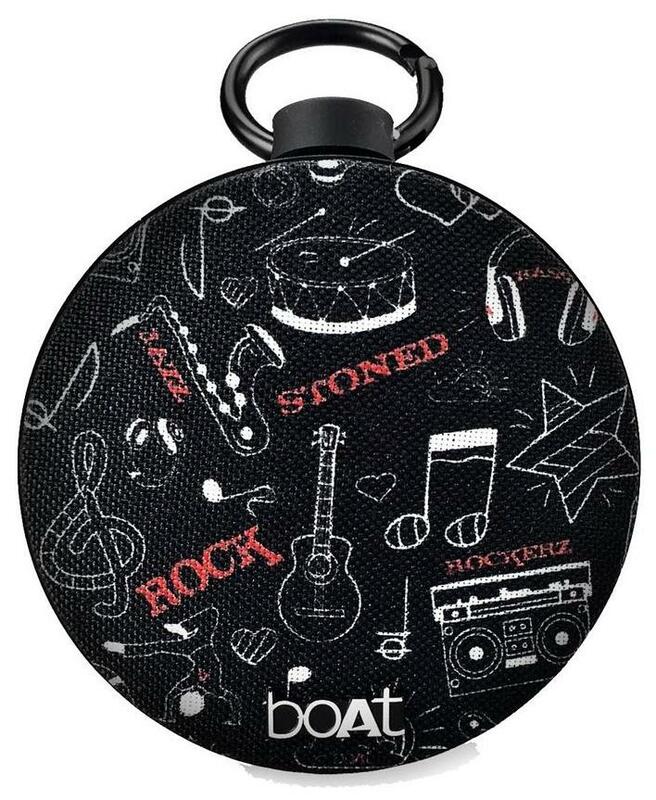 BoAt Stone 260 portable Bluetooth speaker can be wirelessly connected to Bluetooth devices such as smartphones, tablets and computers to playback any music collection stored on them. Thanks to its powerful battery, the system delivers powerful sound, separated from any mains supply, for up to 4-5 hours and is the perfect companion for you in the park, or whilst camping or on the beach. What's more? It sports a trendy look and is IPX5 waterproof certified. Process control can get rid of complicated connections and wiring distance constraints, users can enjoy high-quality music. Plug it in plug into Nirvana.